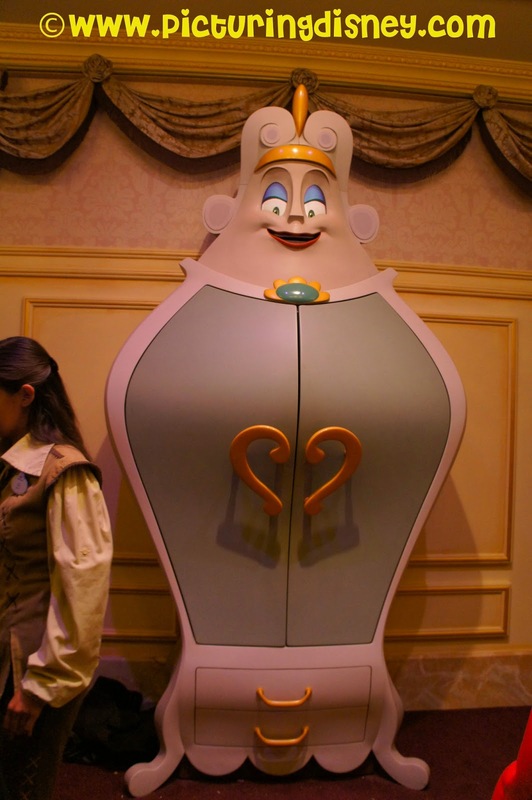 Picturing Disney: Enchanted Tales with Belle: Fun For ALL Ages! Enchanted Tales with Belle was always something we had skipped in it's old location. It was clearly geared towards children and although I love Belle it didn't seem like fun for just me and my husband. However, once Maurice's cottage became the setting I knew I had to try it out! I know I would love it from the moment that I saw all the small touches when you enter Belle's home! The books, the pictures, the little hidden treasure (like the nod to Mrs. Potts and Chip below).... it was so well done! And without giving many spoilers-- it does not disappoint! 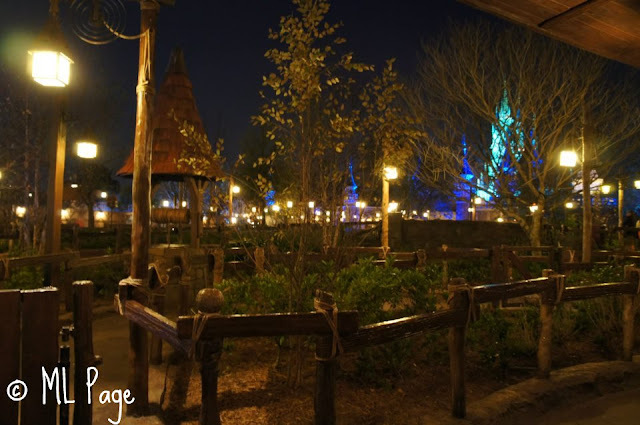 You enter and get to check out the cottage before being transported via a magic mirror (of course) into Beast's Castle! There is a castmember to lead the way and help choose who will partake in the fun!